Wallarm, a Skolkovo resident company that provides AI-powered application security, announced Monday that it had closed an $8 million series A financing round in San Francisco, bringing the company’s total funding raised to $10.8 million. 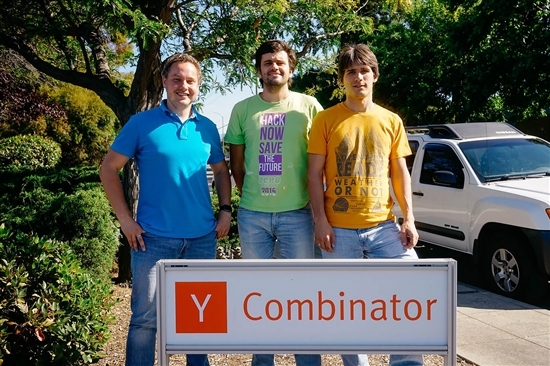 Members of the Wallarm team pictured at the Y Combinator accelerator in California in 2016. Photo: Wallarm. The round was led by the California-based Toba Capital, with additional participation from Y Combinator, Partech, and Gagarin Capital. The Wallarm security platform automates application protection and security testing, and its AI engine generates application-specific web application firewall (WAF) rules and vulnerability security tests. “From the early days, Wallarm's differentiation has been its ability to defend applications from real attacks, rather than checking for compliance with irrelevant security guidelines,” said Ivan Novikov, co-founder and CEO, Wallarm. “This year we reaffirmed this strategy once again by launching our Framework for Automatic Security Testing (Wallarm FAST). The new funding will be used to take this new product to market, invest further into the growth of our AppSec Platform product line, and service our growing contingent of Fortune 1000 customers,” he said. The funds will also be used to introduce FAST to security researchers, developers, and quality assurance practitioners, the company said via a press release. The platform provides a simple, easily scripted tool used to automatically generate hundreds of security tests based on the existing functional testing and to increase test coverage significantly while adhering to CI/CD processes, the company says. The same mechanism quickly finds underlying vulnerabilities in the code and software frameworks and helps to find and reproduce related issues. In Russia, Wallarm boasts the major search engine Yandex among its clients, as well as online retailer Ulmart and several banks and payment systems. It is partnered with the web server NGINX, which powers websites including Netflix, Hulu and Airbnb. “Wallarm bridges the gap between DevOps and security teams and provides native application protection across public and private clouds. With its unique signature-free approach to attack detection, Wallarm NGWAF and Active Threat Verification modules enable adaptive application security with better accuracy and lower cost of ownership than legacy alternatives,” the press release said. “Given the growing sophistication of hackers and the influx of cyber attacks targeted at organizations managing sensitive data, investing in Wallarm was a no-brainer,” said Vinny Smith, founder of Toba Capital. Post funding, Toba Capital partner Rajan Aggarwal will become a member of Wallarm’s board, and Reza Malekzadeh of Partech, another of Wallarm’s backers, will join the board as an observer. This year Wallarm was listed as number 7 in the security category in Inc. Magazine’s 37th annual Inc. 5000, a ranking of America's fastest-growing private companies. It has been a record year for the company that has seen the number of its production customers nearly double, attracting companies in ecommerce, finance, logistics, healthcare, and other industries, the press release said. Wallarm also grew its recurring revenue 100 percent year over year in Q3. Founded in 2013, Wallarm is headquartered in South San Francisco, California and is also backed by Y Сombinator, Runa Capital, and other investors. The company, a resident of the Skolkovo Foundation’s IT cluster, raised $2.3 million in 2016 after completing the Y Combinator accelerator. In Russia, Wallarm boasts the major search engine Yandex among its clients, as well as online retailer Ulmart and several banks and payment systems. It produces joint products together with the leading cybersecurity company InfoWatch and Qrator Labs, a fellow Skolkovo resident, and is also partnered with the web server NGINX, which powers websites including Netflix, Hulu, Airbnb, WordPress.com and Pinterest.